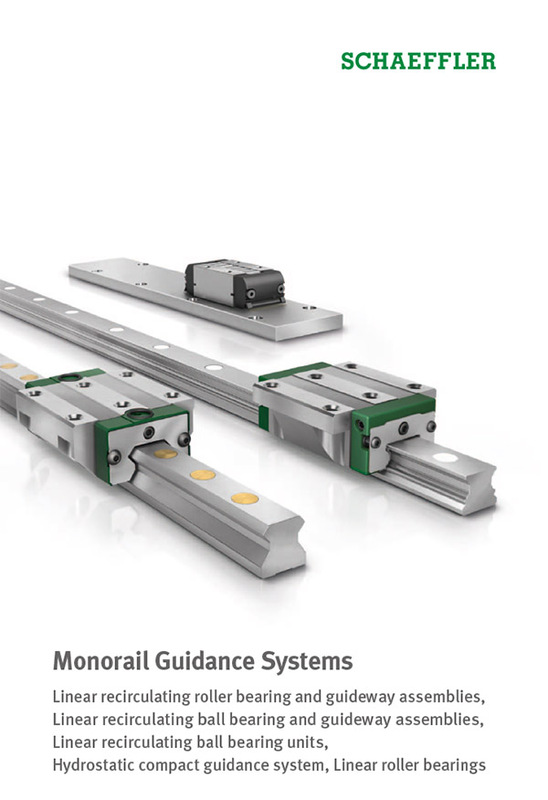 RUE linear recirculating roller bearing and guideway assemblies are, due to the cylindrical rollers, the INA monorail guidance systems with the highest load-carrying capacity and rigidity. They comprise at least one carriage with a full complement roller system, a guideway, integral elastic wipers on the end faces of the carriage, sealing strips on the upper side and underside of the carriage and closing plugs to close off the fixing holes in the guideway. The carriage and guideway of a linear recirculating roller bearing and guideway assembly are matched to each other due to their closely toleranced preload. It may be possible, after consultation, to use carriages and guideways in different combinations. 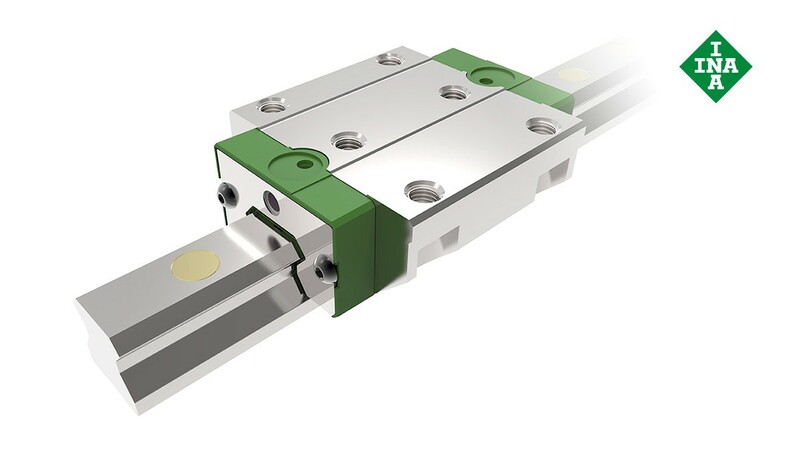 Linear recirculating roller bearing and guideway assemblies are suitable for acceleration values up to 100 m/s2, speeds up to 180 m/min. and operating temperatures ranging from -10 °C to +100 °C. They are used in applications involving long, unlimited stroke lengths, high to very high loads and high to very high rigidity.